Another purple treat from Purple Dough, 38-05 69th St in Woodside, Queens. 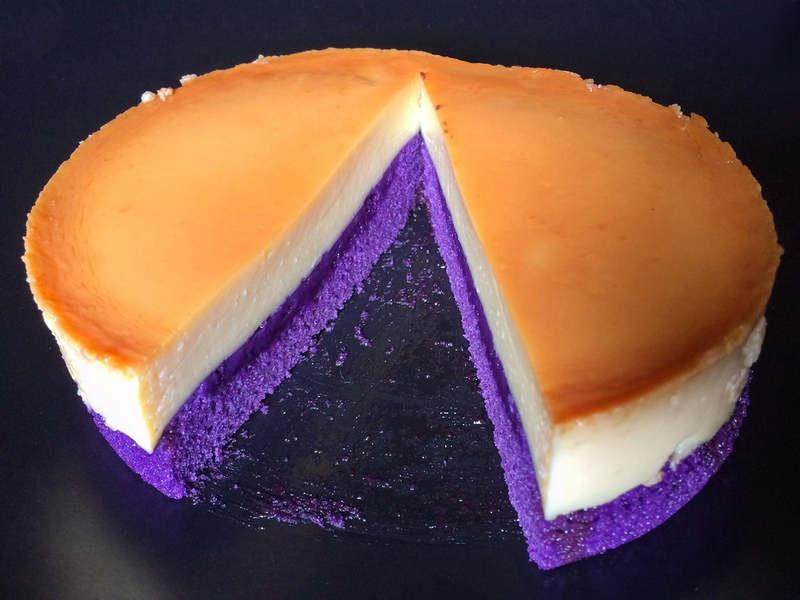 This time, the new bakery presents ube leche flan – dense flan lounging atop ube (purple yam) cake. Surprisingly, this beautiful dessert isn’t overly sweet, so a dollop of whipped cream wouldn’t hurt if you want to dress it up a little – if you can wait to get it home! This entry was posted in Instagram, Shopping, Sweets and tagged Filipino by Rich. Bookmark the permalink.